We first report­ed on Intel­listreets brag­ging of its product’s “home­land secu­ri­ty” appli­ca­tions back in 2011, with the back­lash from pri­va­cy advo­cates caus­ing the com­pa­ny to remove a pro­mo­tion­al video from YouTube. The video was lat­er restored (see above), although com­ments were dis­abled. How­ev­er, Illu­mi­nat­ing Con­cepts, the com­pa­ny behind Intel­listreets, seems to be more com­fort­able in acknowl­edg­ing the “secu­ri­ty” aspects of its devices now that it has secured numer­ous lucra­tive gov­ern­ment con­tracts to sup­ply street light­ing in sev­er­al major cities. The abil­i­ty to record street con­ver­sa­tions is mere­ly one spe­cial fea­ture of the Intel­listreets light­ing sys­tem, which is linked back to a cen­tral data hub via a ubiq­ui­tous wi-fi con­nec­tion. 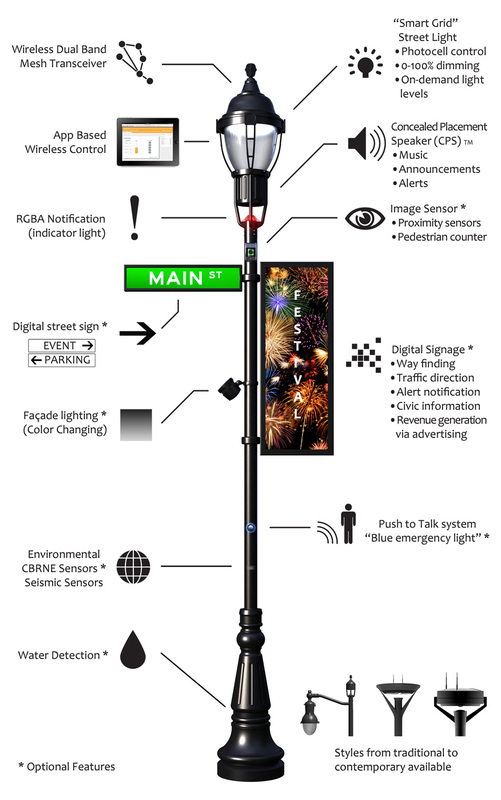 The ‘smart’ street lights can also act as sur­veil­lance cam­eras, make loud­speak­er secu­ri­ty announce­ments (See Some­thing, Say Some­thing), as well as track “RFID equipped staff,” which could be any of us giv­en the increas­ing amount of cloth­ing and prod­ucts which are RFID tagged. The company’s web­site high­lights how the sys­tem is now being installed in areas of Las Vegas, Chica­go, Detroit, Auburn Hills, Asbury Park, and at sta­di­ums like the Mer­cedes Benz Super­dome in New Orleans. As we report­ed on Sun­day, the Las Vegas Pub­lic Works Depart­ment has begun test­ing the devices although they denied they would be used for sur­veil­lance, at least for the time being. 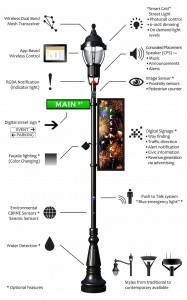 Author­i­ties in New York City also recent­ly announced that they would be replac­ing the city’s 250,000 street lights with new LEDs by 2017, although it is not known how many of these if any will be pro­vid­ed by Intel­listreets. As we report­ed ear­li­er, Intel­listreets are just one com­po­nent of a huge net­work of micro­phones embed­ded in every­thing from games con­soles to gun­shot detec­tors that are begin­ning to blan­ket our streets and dom­i­nate our home life. 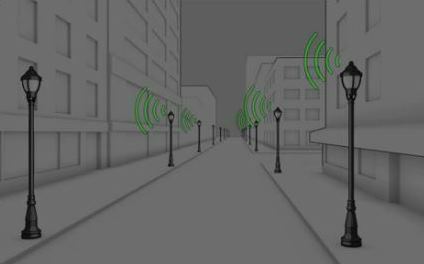 A 2012 New York Times report on ShotSpot­ter audio sen­sors, which are installed in at least 70 major US cities, acknowl­edged that they can and have been used to record con­ver­sa­tions on the street. The next lev­el of NSA snoop­ing, which will rely on sys­tems like Intel­listreets to record people’s con­ver­sa­tions and detect antag­o­nism or polit­i­cal extrem­ism, will make the recent rev­e­la­tions of whistle­blow­er Edward Snow­den pale in com­par­i­son, and rep­re­sents the poten­tial for a ubiq­ui­tous wire­tap­ping sys­tem that out­strips George Orwell’s worst night­mare.